In 2007, I received a beautiful copy of this book. It was an ARC and the cover art was not used on the finished version. 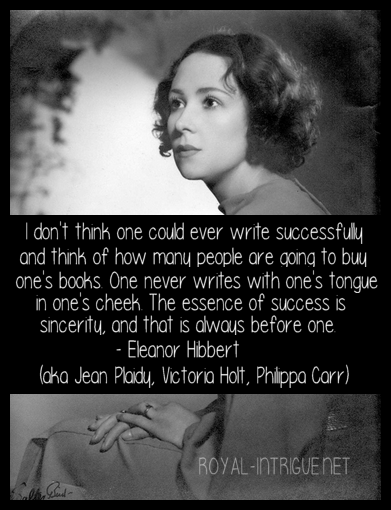 Normally when I fall in love with a book that is not its official version, I will buy it once it hits the shelves–but not this one. I loved the cover too much. Although, I must admit, having the More family portrait on the cover makes more sense, and as you read it you will want to see the paintings described in the book (the hardcover version features a full-sized image of the painting). This time, I re-read this book on audio. All of the details and emotions came rushing back to me with the narrator’s excellent elocution and expert diction. 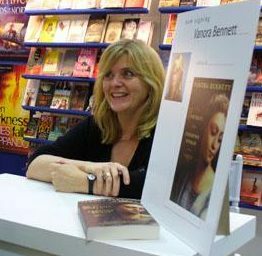 I have been reminded of the reasons Vanora Bennett is one of my favorite historical fiction writers–while not overly descriptive, her writing style blends just the right mixture of detail, emotion and psychology of the characters. 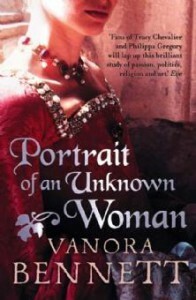 The main characters in this book are Meg Giggs, adopted daughter of Sir Thomas More, her love interest, John Clement, Sir Thomas More himself, and the painter who captured all of their likenesses and placed family secrets in the paintings. This is not all fiction. 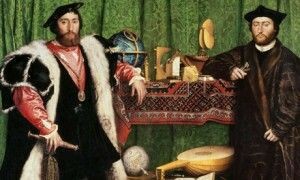 You can find details of the hidden meanings behind Hans Holbein’s works at HolbeinArtworks.org, however don’t do that before reading the book (unless you don’t mind spoilers). 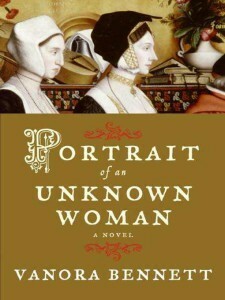 Holbein comes to the More family in 1527 in search of connections that will bring him more commissions. 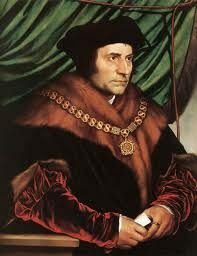 At the time, Thomas More is rising in King Henry VIII’s favor and the More family is a pleasant, happy group of intellectuals. 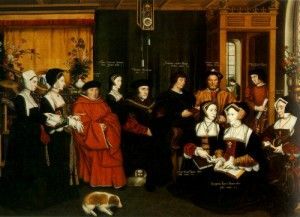 Holbein enjoys many months with the family while he works on a portrait of More and a group painting of the family. Meg, the adopted daughter, is an outsider–More has three daughters of his own and she never enjoyed the intimacy they shared. 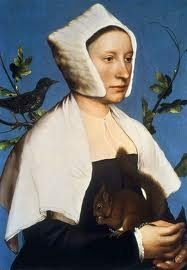 She and Holbein connect and become near confidantes, though their feelings will intensify later when damaging secrets are revealed. Enter John Clement. His story is the real mystery in this book. John, a budding doctor under the King’s physician, previously held the position of tutor in the More household. With their love of medicine, Meg and John developed a loving relationship that would later be enmeshed in the secrets surrounding–not just the More family–but the events unfolding with with the King’s desire to marry Anne Boleyn and the breaking with the Catholic church. When Holbein returns to the Mores’ in 1532 to update their family portrait, truths are revealed, relationships crumble and many revelations come to light. It is my opinion that Thomas More’s depiction in this novel is very well-rounded. We see the scholarly, free-thinking humanist, but also the man who wouldn’t budge on the King’s order that his first marriage be declared invalid. Due to immovable religious beliefs, More accepted his own destruction to the horror, though understanding, of his family. The clues revealed in the paintings are astonishing, all the more so because they exist today. Symbols, mannerisms, Latin verses, and the memento mori are among the hidden messages the artist cleverly inserted into his works. 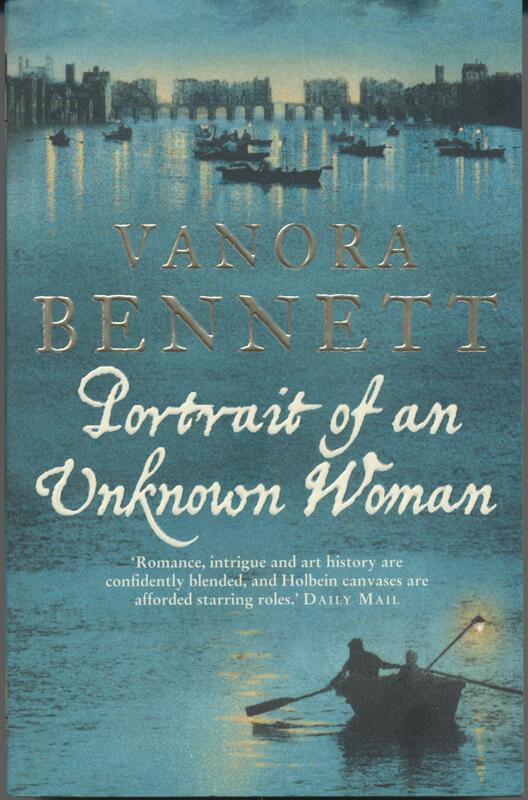 Vanora Bennett’s novel, which is entwined deftly and eloquently around the facts, is simply brilliant. This is a must read for historical fiction lovers, art enthusiasts, and–of course–Tudor fans.